This Mat Is Very Comfortable With It's Soft Plush Surface. It Has Anti Slip Backing Which Is Durable And Long Lasting. Ideal Accent Item For Any Bathroom, Vanity, Master Bathroom, Kids Bathroom, Guest Suite, Kitchen, Laundry Room, Spa, Vacation Home, Hotel Bathroom. These Unique Designs Match Well With Various Color Palettes Of Towels, Rugs, Shower Curtains And Any Other Bathroom Accessories.
? Our Bath Mat Size Is 23.62"*15.74"*0.39"/60CM*40CM*1CM.
? 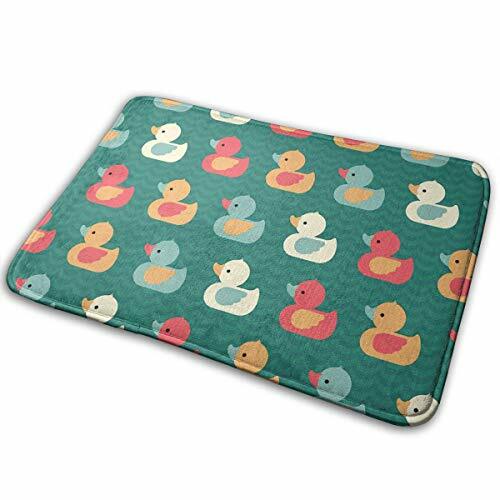 Our Bath Mat Use Non-slip Material.The Back And Edges Hold The Doormat Securely In Place And Prevent Tripping.
? If You Want To CLEAN The Bath Mat,please Machine Wash Separately, Dry Every Time - It Looks New, Durable And Can Be Reused Many Times.
? Our Advantage:This Mat Is Designed To Be Absorbent Enough To Soak Up Any Extra Water.It Is Made From High A Density Memory Foam Core Covered In A Super-soft Coral Fleece. Feel Soft And Comfortable .
? It's Perfect For Bathroom Showers,bath Tubs,toilet,floor,kitchen,in Front Of Sinks,front Door,doormat,etc.It's Also A Great Gift To Your Freiend .To Show Your Care And Love.Love It Just Do It,Come On,Don' Hesitate. If you have any questions about this product by Stazary, contact us by completing and submitting the form below. If you are looking for a specif part number, please include it with your message.